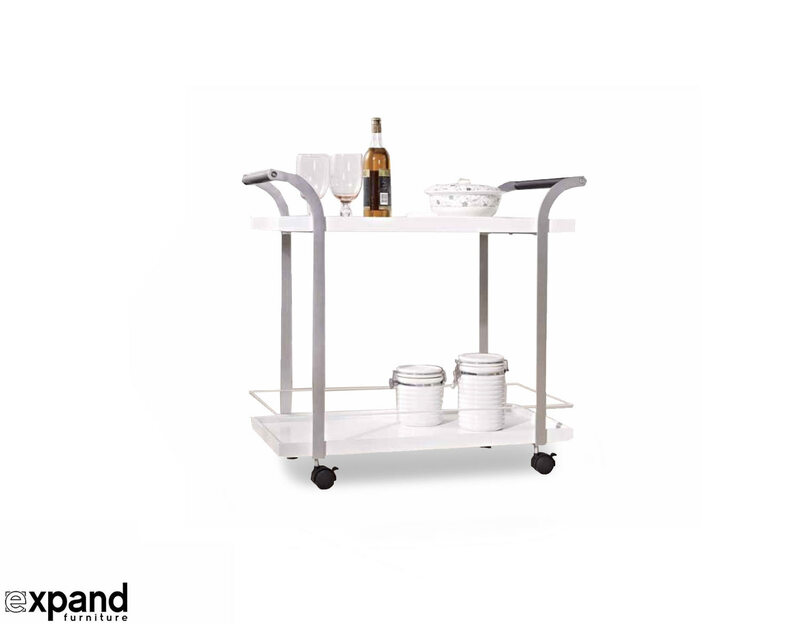 A smooth serving cart with multi directional wheels and 2 tray levels finished in a glossy white lacquer paint. 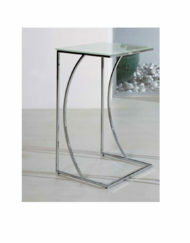 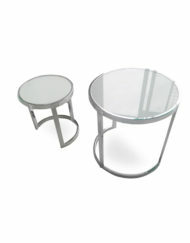 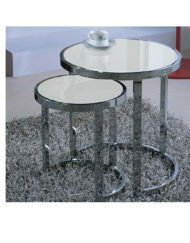 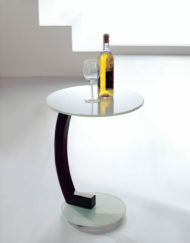 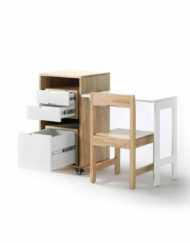 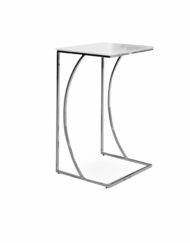 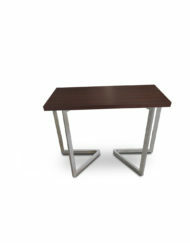 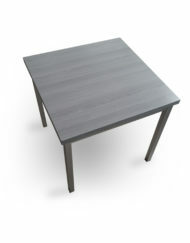 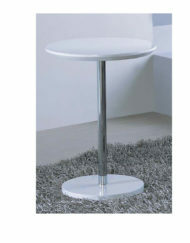 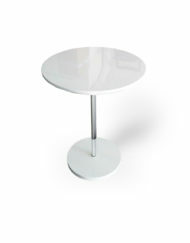 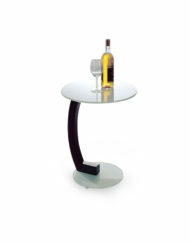 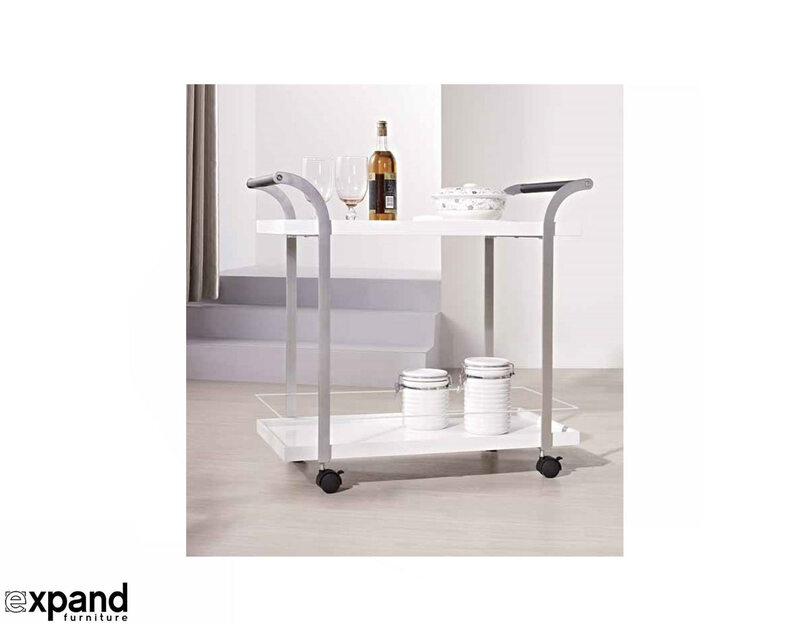 Helpful as a mobile bar, serving cart or tea trolley and looks great as a stationary table. 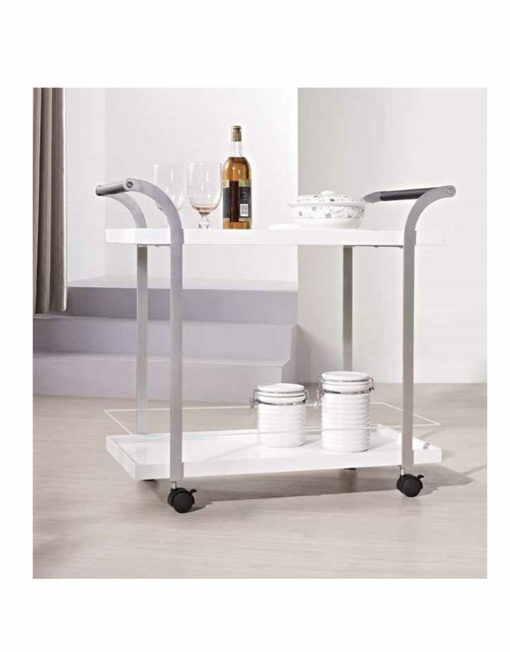 The convenient handle placement make this trolley a pleasure to use and the bright white paint finish will impress as you serve your guests. 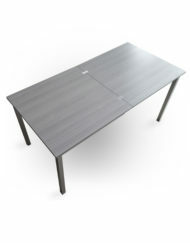 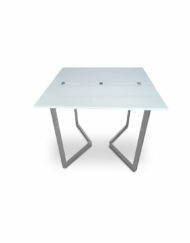 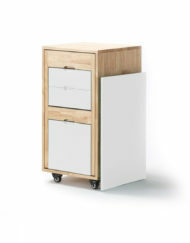 Unlike some clunky carts, the multi-directional wheels allows this table to be pulled, pushed and moved in all ways without awkward catching or jolts. 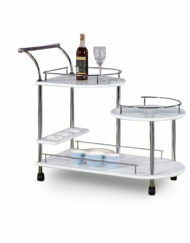 The Motion Trolley is a smooth mobile serving cart with a clean bright look made for entertaining. 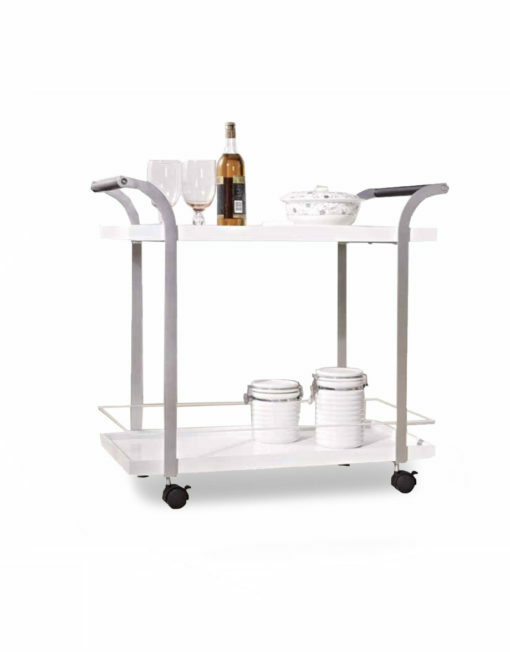 No matter if you use the Motion Trolley to serve tea, drinks or food the carts smooth operation will make you regret not having one sooner. 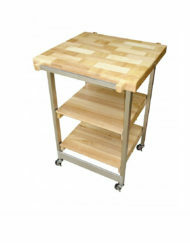 The 2 trays provide plenty of room for storage as well as serving room. 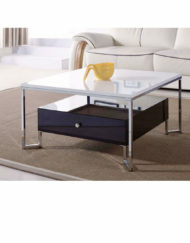 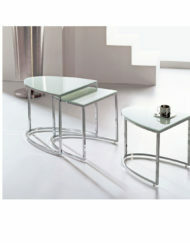 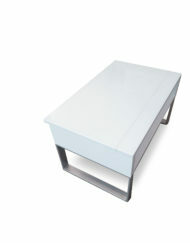 The white gloss paint is scratch and stain resistant with its non porous finish. 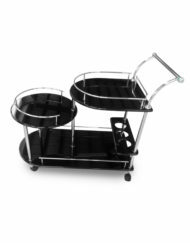 The silver trim looks sharp paired with the white trays and the multi directional black wheels hide below the lowest tray. 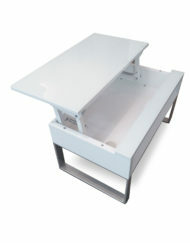 There is a small rail guard on the lower level to help keep items inside the perimeter. 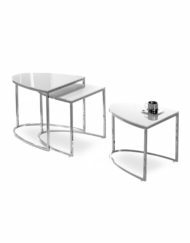 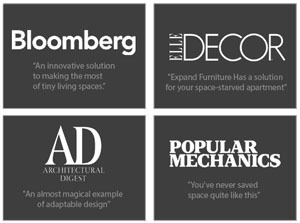 The silver legs which also double as the handles are at a convenient height and placement to easily grab while also adding to the style. 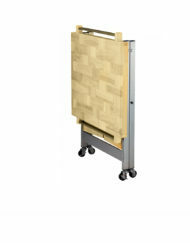 This product needs some assembly, approximately 15-20 minutes to attach the legs and wheels to the trays.